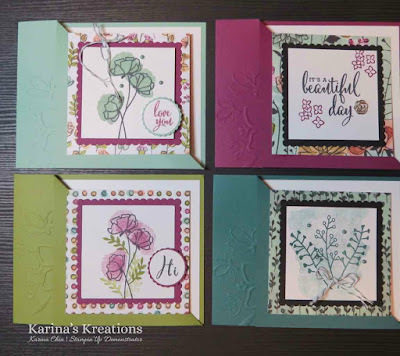 Karina's Kreations: Alaska Achiever's May Blog Hop! 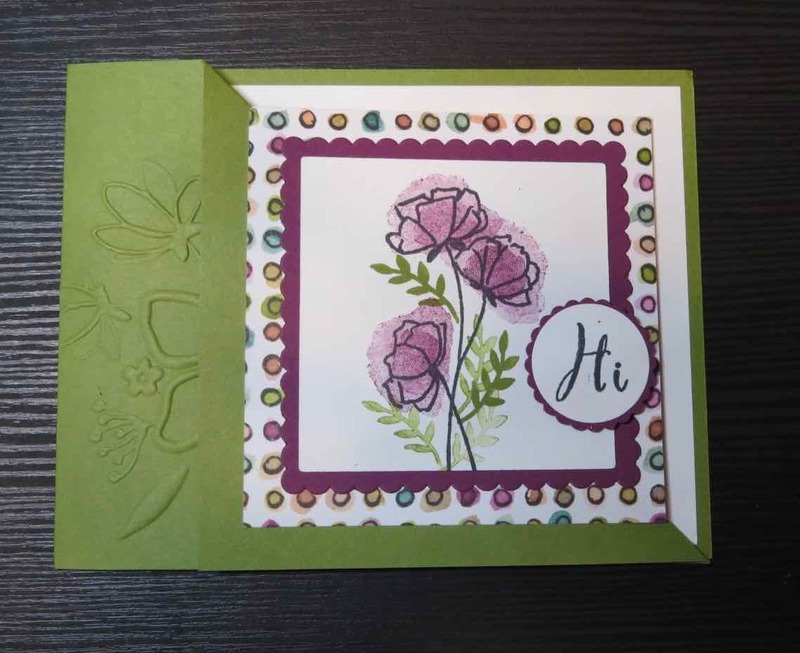 Alaska Achiever's May Blog Hop! Thank you for joining us in the Alaska Achiever's May blog hop. 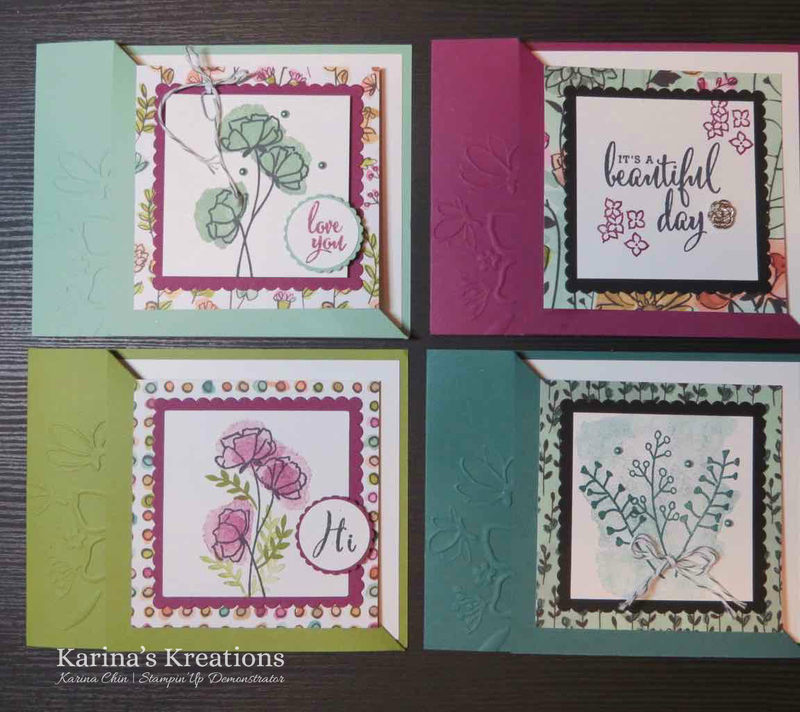 I'm Karina and I am a demonstrator from Edmonton, Alberta Canada. 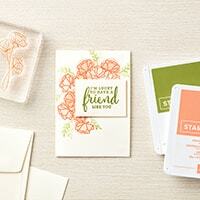 I love to stamp with friends and create pretty things with paper. 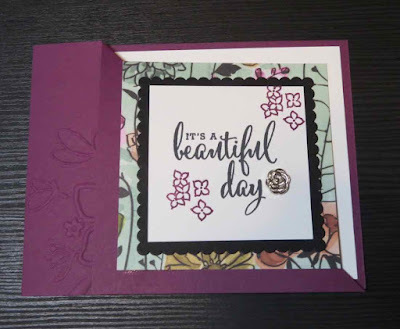 This month's theme is the Stampin'Up Share What you Love Bundle and I'm so excited to share it with you. I have designed four fancy fold cards that fit inside a pretty box. To make these cards you need the Gotta Have it All bundle, the Layering Squares Framelit Dies, the 1" circle punch and the 1-1/8" scallop circle punch. 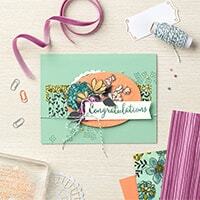 You can purchase the supplies to make these cards by clicking on the picture of the bundle you wish to purchase. Make sure to check out all the other fun projects in this hop. Thanks Vanessa! 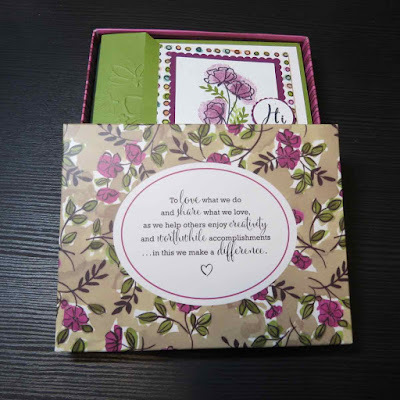 I was thinking the box of cards would make a lovely gift. 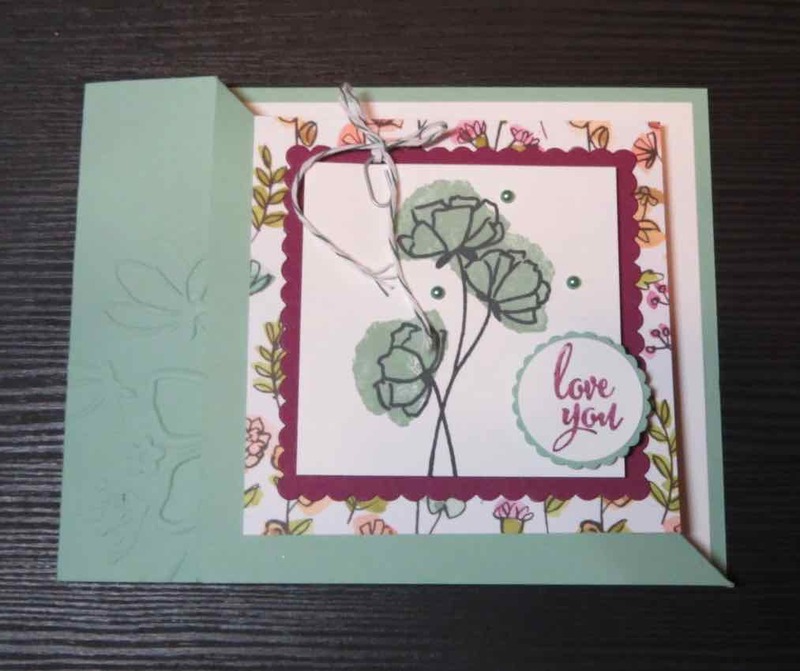 Love the idea of using the Embellishment Box to hold the cards, too! It is so pretty! Thank you Connie and I think it would make a great class too. Ooh love the fold and partial embossing! Not easy on a dynamic one I imagine!! That box is so handy!! It was very easy. 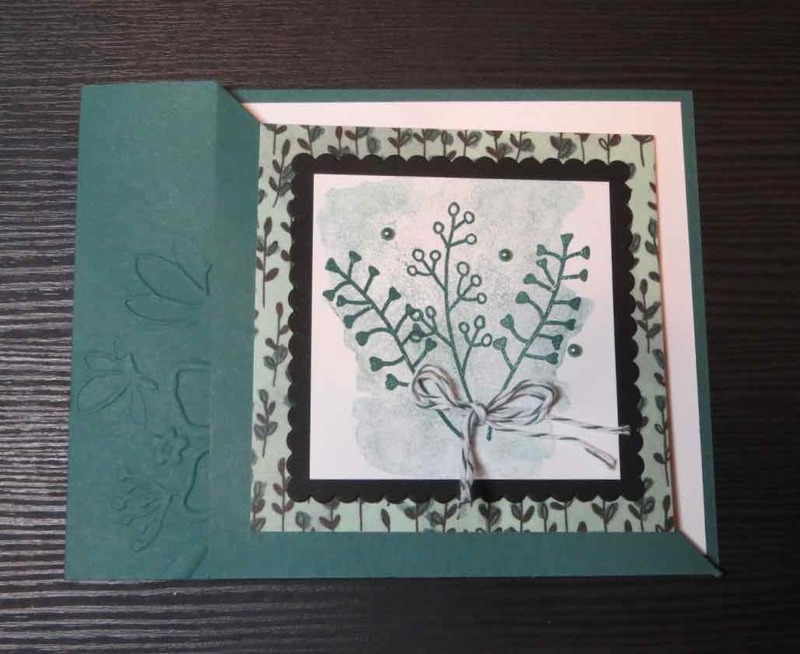 I only embossed the left hand corner of the card. These are just beautiful! 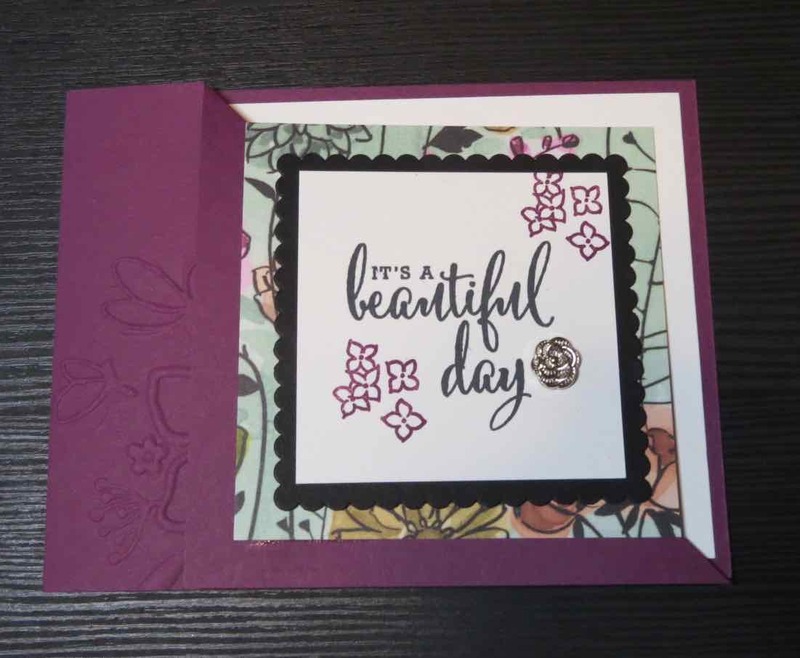 Do you have a link that shows how to do the fancy fold?